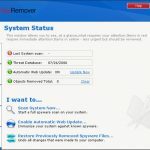 Easy SpyRemover is a corrupt anti-spyware program that uses false positives. 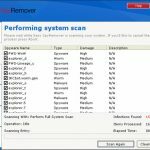 We have tested this application on absolutely clean computer that was never infected with spyware, trojans, viruses or any other malicious parasites. 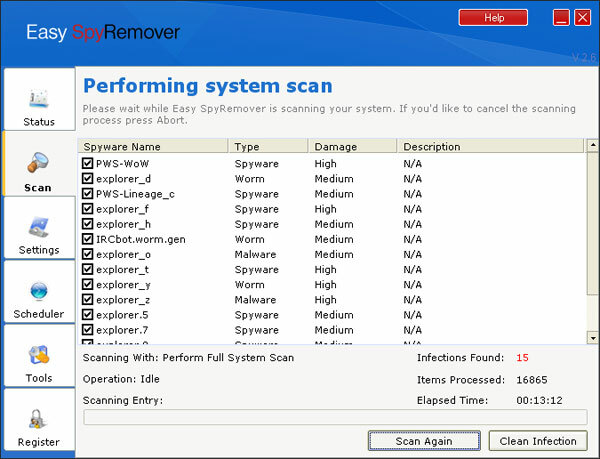 However, Easy SpyRemover managed to identify 15 different threats including spyware, worms and other malicious software. The scan process as well as the generated scan report is anything but transparent. 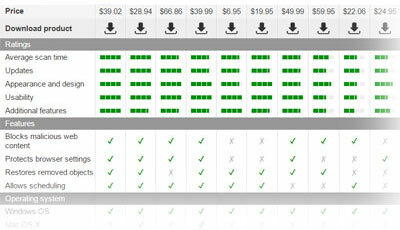 The program does not provide any specific details on items detected. It does not show any malware-related files, processes or registry keys. Furthermore, it does not display any parasite descriptions. 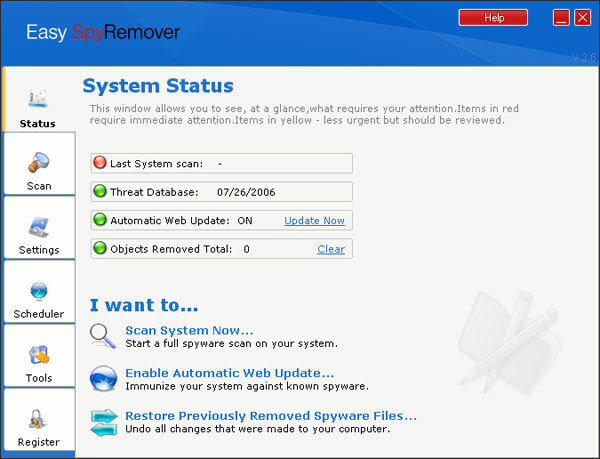 Easy SpyRemover is considered to be rogue not only because of false positives. The program is also absolutely ineffective. We have used it to scan a badly infested system affected by numerous widely-spread parasites as well as relatively old, well-known threats. Surprisingly, the application did not detect any of them. Threats like SpyFalcon, Surf SideKick, Look2Me, Internet Optimizer and Mirar have been bypassed. 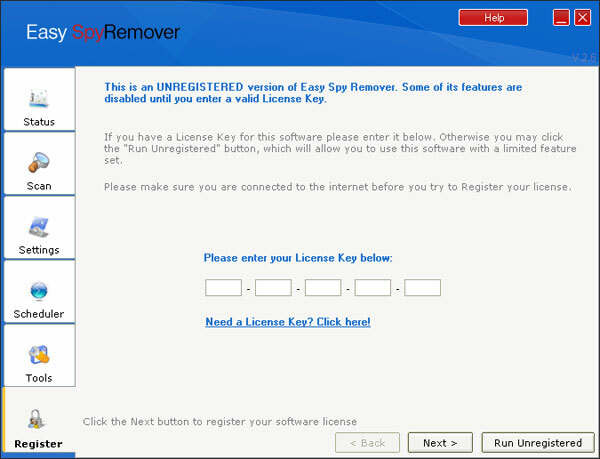 This fact clearly shows that Easy SpyRemover is useless and cannot be trusted. 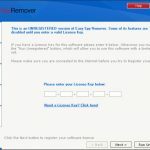 The application refuses to remove any malware it finds, and asks to register and purchase the full product. 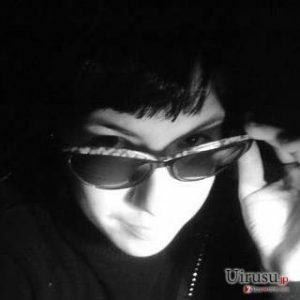 The official web site is www.easyspyremover.com. This entry was posted on 2014-04-30 at 09:21 and is filed under Corrupt Anti-Spyware, Software.